The 1st round of MultiVAC token sale on spotlight completed with a gorgeous success within 7 seconds. 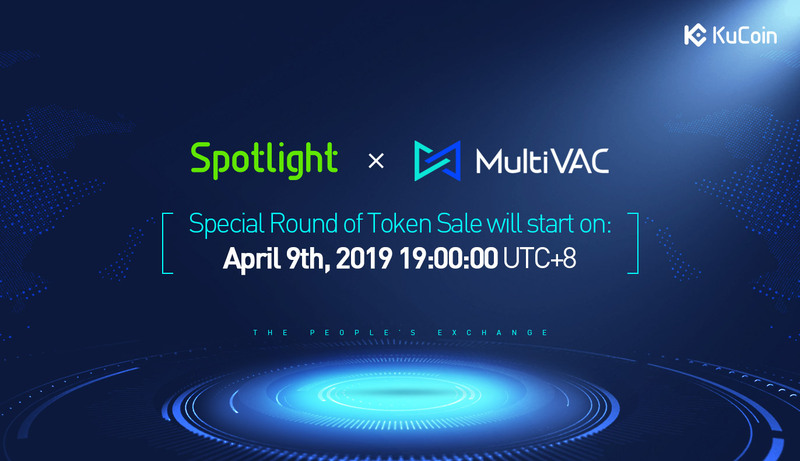 Thanks to the users’ willingness, KuCoin Spotlight will host the 2nd round of MultiVAC token sale on April 9th, 2019, 19:00:00, UTC+8. *The accounts which successfully purchased MTV token in the previous Token Sale can NOT participate in the Special Round. *The KCS will be deducted in 10 minutes after the purchase, please do not sell or withdraw before the deduction, or the purchase will fail. 6. Start Time: April 9th, 2019, 19:00:00, UTC+8. 8. Purchase Limitation: For each KuCoin account, purchase amount is 120 USD. 9. Token Distribution Time: The token of both rounds and airdrop will be distributed before trading enabled. Note: The above steps can be completed on the Spotlight page before the start time of the Token Sale. Risk warning: Spotlight is a high-risk investment channel. Investors should be sensible in their participation and be aware of investment risks. KuCoin is not liable for user’s investment gains or losses. The information we provide is for users to conduct their own research. It is not investment advice. KuCoin reserves the right of final interpretation of the activity. MultiVAC is developing the world’s first quick, efficient, and fully sharded blockchain. Sharding is not only used for computation, but also transmission and storage, maximizing throughput while maintaining decentralization, all without sacrificing security. MultiVAC has received 15 million USD in Round A strategic investments from IDG, NGC, Hashed, Signum, Arrington XRP, Dfund, ICODrops, etc.